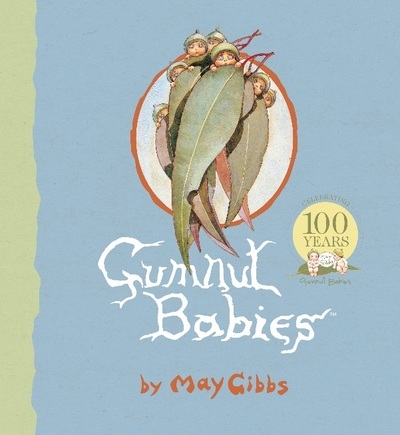 It's all about the Gumnut Babies this Spring, what with Snugglepot and Cuddlepie appearing LIVE at the Art's Centre Melbourne, and the release of a beautiful new centenary edition of May Gibb's classic tale. HarperCollins Publishers recently released a gorgeous new hardback edition of Gumnut Babies that has been redesigned to showcase May’s original illustrations and also includes a bonus biography on the enigmatic Cecilia May Gibbs. The book celebrates 100 years of the iconic Aussie children's picture book, first published back in 1916. The Gumnut Babies is a timeless and well-loved classic; a must have for any child's bookshelf. Enjoy the stories of Gum-Blossom Babies, Flannel Flowers and Other Bush Babies, Boronia Babies, Wattle Babies, plus Nuttybub and Nittersing, and Chucklebud and Wunkydoo once again, or introduce your children to the world of Snugglepot and Cuddlepie for the very first time with Gumnut Babies by May Gibbs'.